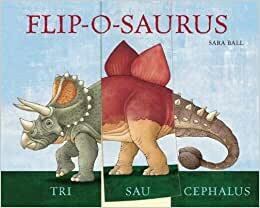 By turning over the flaps of this clever book, you can put together 1,000 imaginary dinosaurs, like the Stegodocus, the Oviplosaurus, or the Diploraptops. Each dinosaur has fascinating information about its head, body, and tailso you can make your own Flip-o-saurus and see what it can do! I got this as a companion to the "Remarkable Animals" flip book by Tony Meeuwissen. It's not nearly as good because it's not written in the same way. In Remarkable Animals the three panels are each written in a way that when they're read together they flow together in a really silly way. This one is fact - fact - fact and each is independent of each other and rather boring. 5,0 de 5 estrelasWhat a FUN book!! 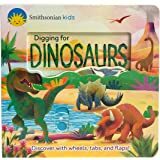 My grandson is crazy about dinosaurs and I could not have found a more fun and entertaining book for him. 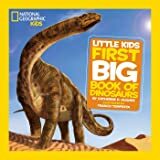 The illustrations are great, the pages are large and easy to turn, there are lots of options for creating new dinosaurs and the drawings on each page blend with other pages. I cannot begin to tell you how much fun this book as been. This was a gift for our son and he loves it. His older brother loves dinosaurs and often reads it to him. Such a neat concept and a great addition to our library. Being the third child it's hard to find unique books that we don't already own to gift and this was such an exciting find. 5,0 de 5 estrelasLove this flip page book! We received another Sara Ball book called "Crocguphant" in a box of used books from a family member. Our 14 month old son LOVES that book so I took a look around for other books illustrated by Sara Ball and found this. 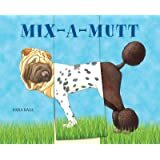 Like the larger Crocguphant, this book has an animal on each page, but each page is divided into thirds so you can flip just a portion of it and thus the animal now has a new head or whatever and thus is an all new, made up animal. The opposite side of each page has the name of the animal broken into thirds so the name page also flips to come up with new animal names. This book is pretty large for a little kid, so can only look at it on the floor with my 14 month old. It is of really great quality and I'm looking forward to enjoying it with him for years to come. It is not spiral bound like some of Sara Ball's older titles.